Our Snack Canisters are the ideal solution for the candy lover on a budget. 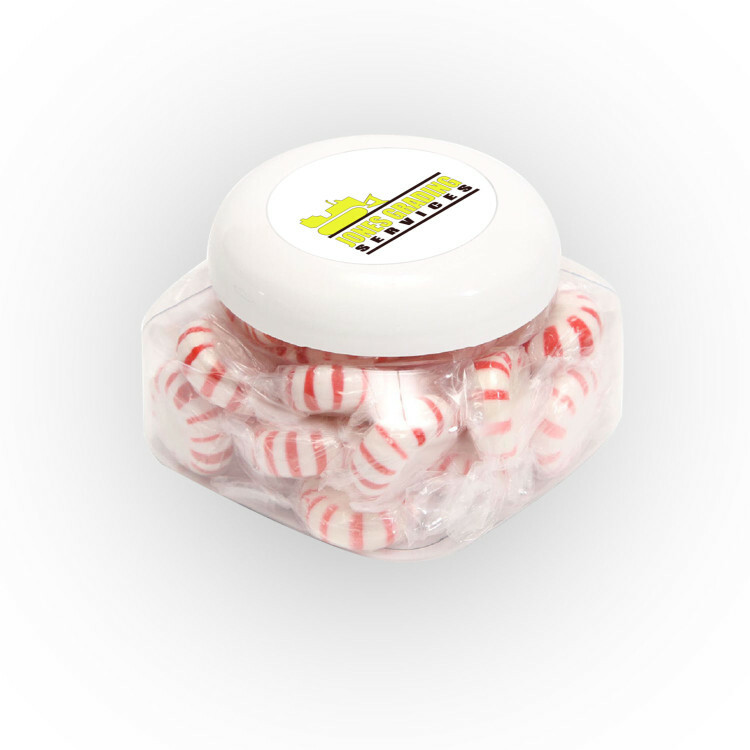 Your 6 ounces of Striped Peppermint candy will be colorfully visible while the artfully printed lid will showcase your logo with pride. Just refill them with more candy when it's gone or use them for any small storage need. 3.375" x 2.375" x 3.375"